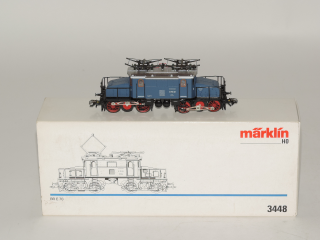 Marklin 3448 H0 BR E70 Electric Locomotive DB Near Mint in Box, USED. 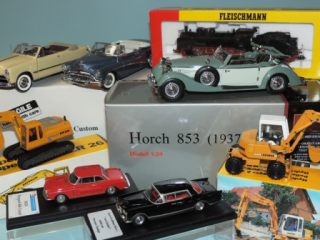 This "Bavarian Crocodile" is Converted with Digital Plus LE930 by Lenz. 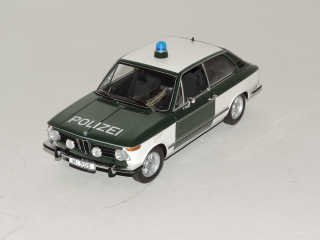 Minichamps Pauls Model Art 1:18 BMW 02 series Touring Polizei, Excellent, should be more but Antenna is Broken and Missing. 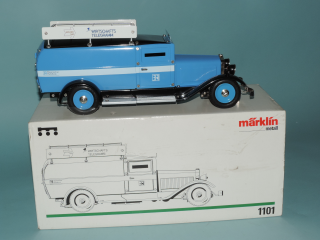 Marklin 1101, 1:16 Tin Plated, Cash Transporter Truck M-BR 1993 Near Mint in Box. 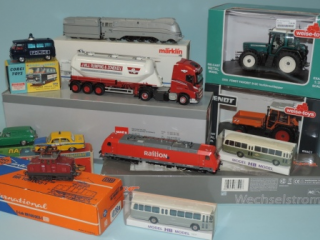 Truck with clockwork motor, battery powered headlamps, requires 1 AA battery (not included), clockwork key and Certificate of Authenticity from Märklin (No.070356) are present. 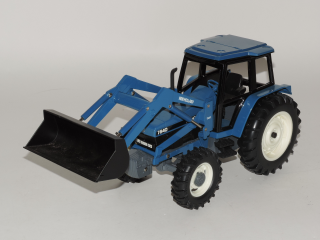 ERTL 1:16 New Holland 7840 Tractor with 7411 front Loader Near Mint. 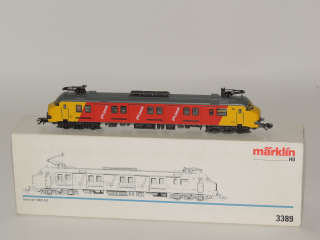 Marklin 3389 H0 Serie mP 3000 NS P.T.T. 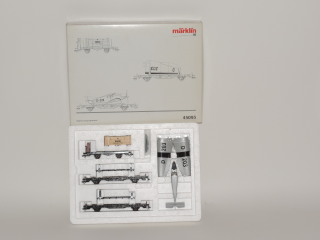 Post Railcar Near Mint in Box Used. 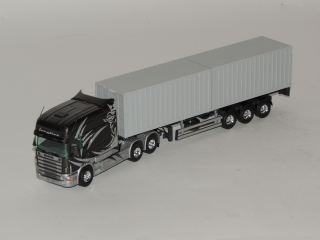 Tekno and Selfbuilt 1:50 3x Scania Truck all Near Mint. 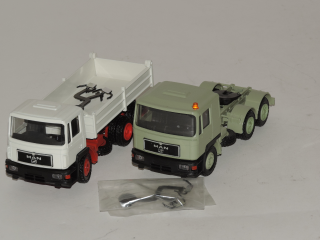 #Tekno 445 (base), Scania 110 Torpedo with self Built Cattle box Color of this Tekno is not Original Shoeld be Red... #Model KIT Scania L56 Torpedo open Box Truck with Milk Canisters (white Metal). 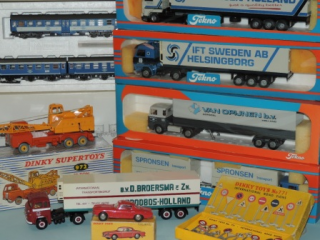 #Tekno Scania T380 Kipper Truck. 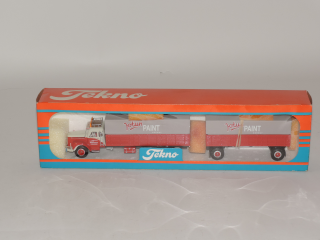 Tekno 1:50 Scania 76 Combination Jotun Paint Norway Near Mint in Box. 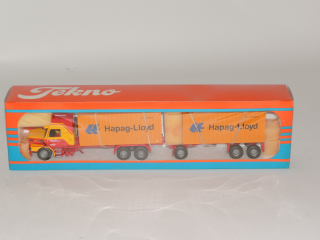 Tekno 1:50 Scania 143M Torpedo with Estepe Roof, Container Combination Hapag-Lloyd. 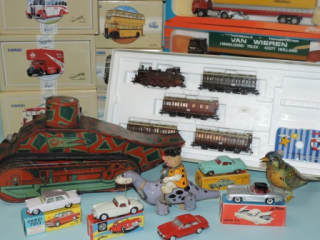 Henk Vlot Transport BV. 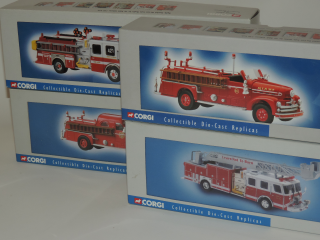 Near Mint in Box. 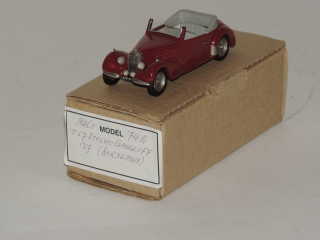 MA Collection 74A, Handbuilt Bugatti 57 Cabriolet Stelvio 1937 Near Mint in Box. 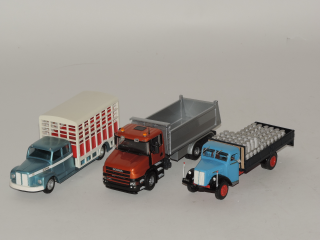 Conrad 3040 and 3041 MAN Truck Models Near Mint, 1x Tractor, 1x kipper. Mirrors are Present.